+1 for plasti dip. I did mine and was surprised at how easy it was. The most common mistake is to try and cover it in 1 pass. Take your time and do 4-5 light coats and it should come out great. There are a bunch of "how to" videos on youtube if you want tips and to see it in action. 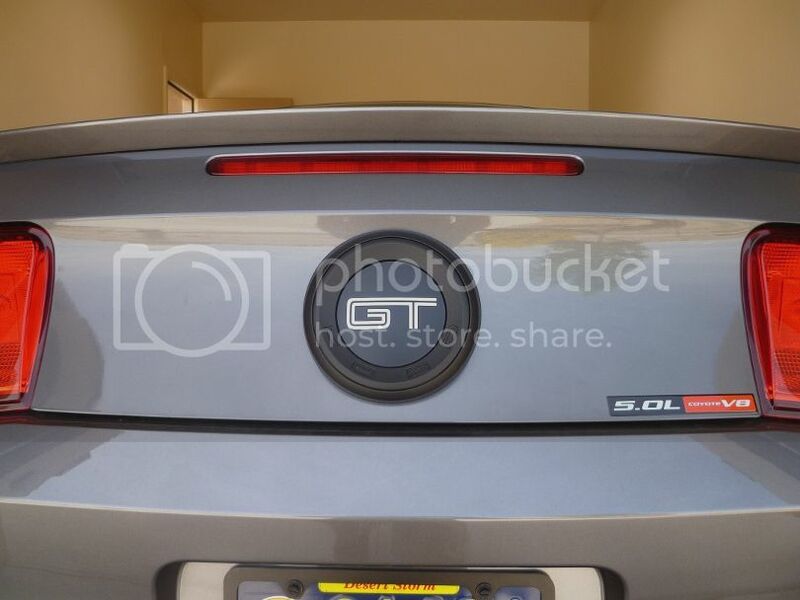 This looks good, but what did you do to have the GT letters stay silver? apply tape to them very carefully? or is the GT removeable from the rest of the emblem? Why did Ford have to put the "hump" underneath it!? I wanted to remove it all together and put some matte vinyl on mine. Looks fantastic. When you did yours I'm assuming you had to remove the decklid pannel first to be able to get to the emblem...correct? Was there anything out of the ordinary to remove the decklid pannel? Last edited by YerBuddy; 06-01-2012 at 07:44 AM. I replaced the faux cap with the blackout panel. So when I put mine together it was pretty simple. I didn't have to take off the blackout panel first. I think you would need to remove the full panel if you already have one on your car. 3M tape is all you need. Yeah, I just talked to another guy who removed his. It's pretty straight forward so I'm not worried. 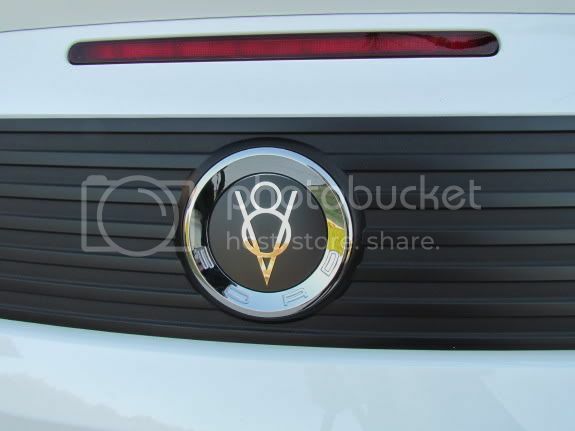 Just ordered the 5.0 emblem from emblempros.com. I've got tons of 3M tape so this should be a snap once it gets here. They are coming out with a coil cover dress up kit as well. They should have it posted in the next few days. One of the other Carolina guys had a Captain America shield made to replace the GT emblem. It is quite amazing what they can do. Be sure to post some pics when you get yours done. I'm a pic ho...so, posting pictures when I get her done will be a must. Turned out great and is what FORD should have done from the get go instead of using the 2010 "GT" badge. That looks amazing, ordered one myself today. Awesome badges... Thanks everyone.... I plasti dipped the emblems on my wife's vehicle.... I noticed taking the emblems off first makes it 10X easier. LOL! That would be a sight to see in Germany.